What happens with your AMS fees? Each student gives the AMS hundreds of dollars in fees each year, but they can only touch $45 of it. That's because those fees are either discretionary — meaning that the AMS can spend them as they see fit — or non-discretionary, meaning the AMS collects the fee, but it's immediately passed into someone else's bank account. The AMS will collect a total of $19,998,330.56 from students this year, along with $638,814 from their businesses and $325,000 from returns on their investments. Of the total amount from those three categories, non-discretionary fees total $18,094,650, while $2,165,335 is available to the union as discretionary funds. The fee levied from every member of the AMS. 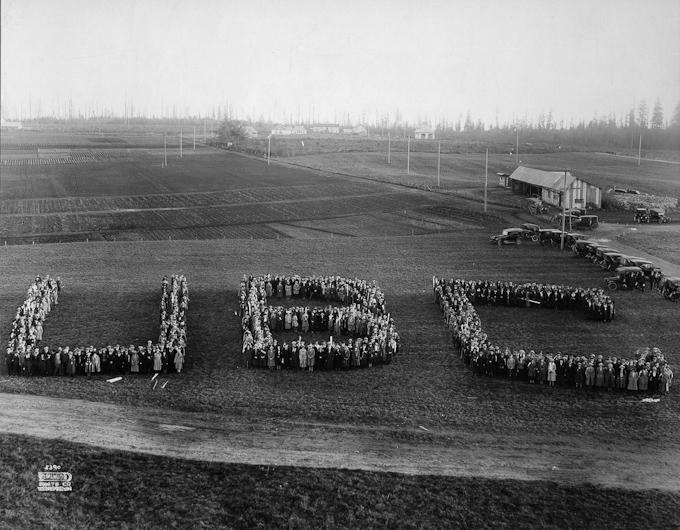 Membership is mandatory if you're an undergraduate student at UBC. The Sexual Assault Support Centre (SASC) supports survivors of sexualized violence by providing crisis support, education, advocacy and more. “Even though SASC is meant for a very specific purpose, [the fee] runs our entire SASC office — we can at least use that for day-to-day operations,” said Retief. Runs the AMS's sustainability office and environmental initiatives. Of that $45.19, the largest portion — $13.45, or about 30 per cent — goes towards administrative costs. Included in that budget is administration for the AMS businesses and governance, including full-time staff salaries. Each executive makes $32,500 annually — if you're curious, that means $5.39 of your yearly student fees go directly to their salaries combined. Fourteen per cent ($6.14) of the $45.19 goes to costs labelled “student government” — things like the cost of the yearly AMS elections, the Ombuds Office and general Council operations, including the Council speaker's and committee chairs' salaries, the cost of the annual Council retreat, the free food at meetings, etc. Ten per cent ($4.31) of the discretionary fees you pay go to AMS Events, the union's event-hosting service. Twenty-two per cent of that budget will go to Block Party this year — an event that lost $207,000 last year, but is budgeted more conservatively for 2017. Nine per cent ($3.90) of that $45.19 is allocated to the AMS communications office, which includes advertising costs and — you guessed it — all costs associated with AMS communications. Goes toward funding long-term projects that are too massive to be included in a single year's budget, like the Student Life and Sustainability Centre. Given straight to UBC, which administers bursaries for students from this fee. Also goes to UBC to help run their athletics and recreation programs. Goes to the UBC ombuds office. “That's an obvious one. You paid for this building,” said Retief. Goes to the World University Service of Canada (WUSC) group of UBC, who are responsible for bringing refugee students to UBC. Goes to AMS resource groups like Pride UBC and Colour Connected. This fee funds “worthy causes with an international focus,” as explained in this video. The Bike Kitchen is UBC's full-service, non-profit bike shop. Goes to the AMS's Clubs Benefit Fund — a pool of money that clubs can apply for to fund events, projects or other expenses. “There's a lot of money in there. I always tell clubs, ‘Please apply,’” said Retief. UBC administrates this fee to students in need of childcare bursaries. Funds CiTR, the campus radio station. Goes to the Student Legal Fund Society, which provides legal workshops and subsidies, and litigates on students' behalf. Funds the Film Society, Blank Vinyl Project, Debate Society, Jazz Cafe, Musical Theatre Troupe, Players Club and Slam Poetry Club. Read more about the AMS's health and dental plan here. Students can opt out if they're already covered by a different extended health plan. Very cheap Vancouver transit for UBC students, which is assessed at $39.50 per month. U-Pass was approved to continue by students this past March, when the referendum resulted in 96% of votes in favour. Right now, the AMS has almost $15 million of non-discretionary funding that they're only allowed to touch in very specific cases. “That's our biggest problem — we have all this money, we just can't spend it. It's awful. It's not fair to students that we're collecting all this money from them and it's just going to go sit in a fund,” said Retief. The money in these funds is able to be invested by the AMS in safe AAA bonds, but Retief is frustrated by their overall inflexibility. “Students' needs are changing constantly and we don't have any flexibility to adjust to student needs. We're always playing reactive instead of proactive,” he said. Correction: this article previously stated that students can opt out of the AMS extended health plan "if they're already covered by a different MSP." In fact, students can opt out of the extended health plan if they're already covered by a different extended health plan.